Beth Spears, CPA joined the firm as an associate partner in 2000. She started her career with the international CPA firm of KPMG in Baton Rouge as an auditor. She then moved into private industry where she became the controller of an oilfield service company with domestic and international operations. Since joining Going, Sebastien Fisher & LeBouef LLP, she has expanded her knowledge to include individual and business taxation, compilations and reviews. With this diverse background of experience, Beth assists clients with SOX 404 testing, tax planning, tax compliance, internal control assessments, business profitability and management consulting. 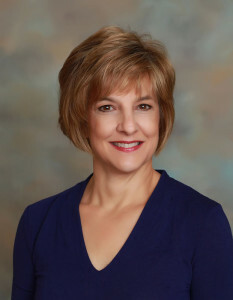 Beth completed her bachelor’s degree in accounting from Nicholls State University. She earned her CPA license in 1987 and is a member of the Society of Louisiana CPAs. IRS CIRCULAR 230 DISCLOSURE: Pursuant to IRS rules, please be advised that to the extent any information relating to a Federal tax issue is contained in this communication, including any attachments or accompanying documents, it is not intended to be used, and cannot be used, for the purposes of (a) avoiding any tax-related penalties that may be imposed on you or any other person under the Internal Revenue Code, or (b) promoting, marketing or recommending to another person any transaction or matter addressed in this communication.